A ladder allows the audience to view framed photographs hung high on the wall of the gallery. 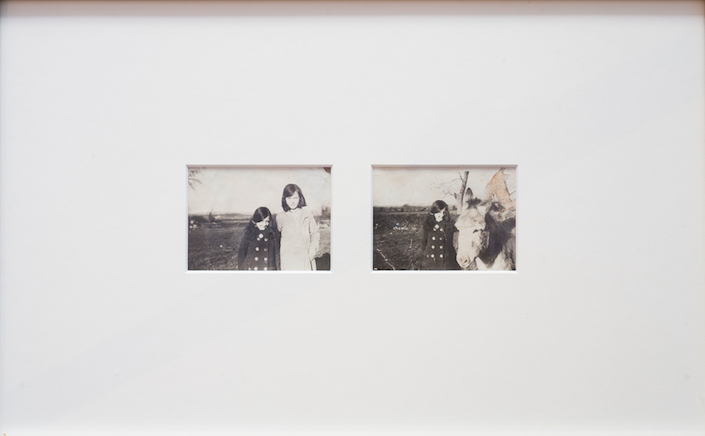 In the images a young girl’s companion has, it seems, changed into a donkey. 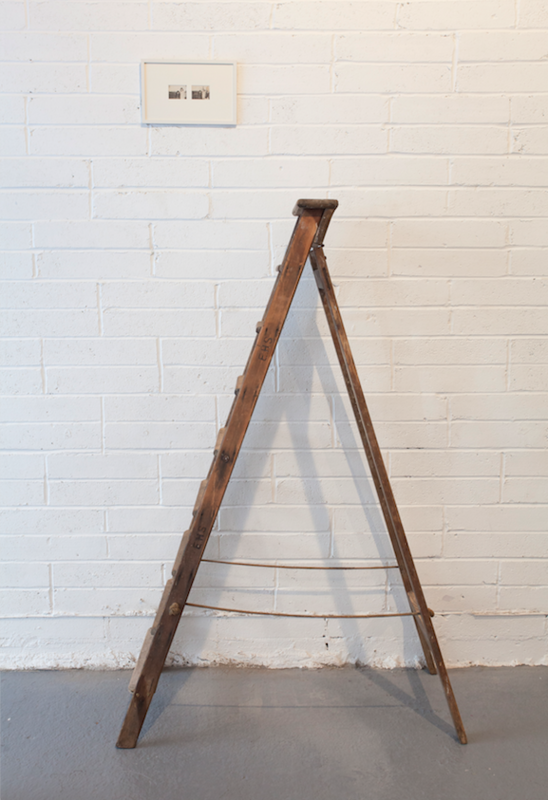 The ladder creates a precarious intimacy between the figures in the photographs and the viewer. Meanwhile the positioning of the images out of reach protects the audience from the contagious magic that is seemingly being enacted in the photographs.